Newswise, June 22, 2016– Politicians, marketers and media moguls pay serious attention to this country’s Hispanic residents. The medical community is starting to do so, too. “Despite its size, this segment of the population has until very recently been somewhat ignored by health care providers and researchers,” said Carlos J. Rodriguez, M.D., an associate professor of medicine and epidemiology at Wake Forest Baptist Medical Center. 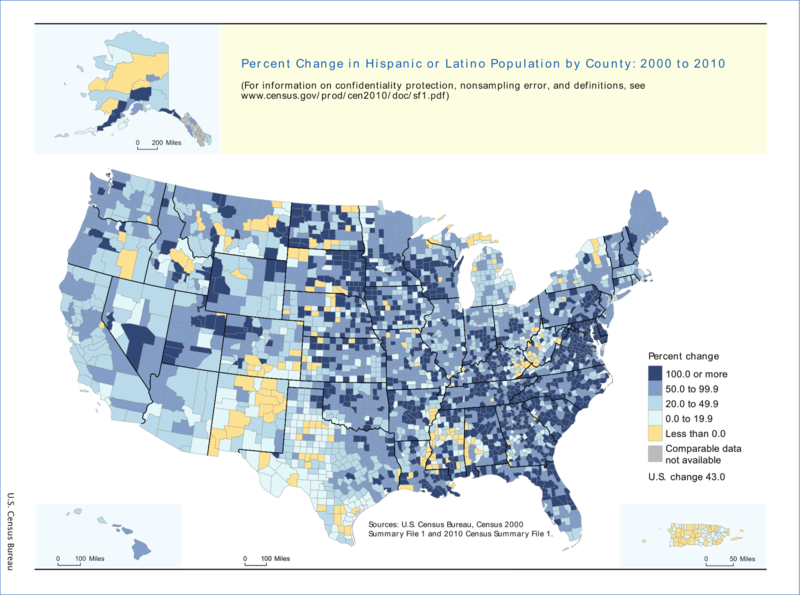 The more than 55 million Hispanics – defined by the U.S. Census Bureau as individuals “of Cuban, Mexican, Puerto Rican, South or Central American, or other Spanish culture or origin regardless of race” – currently living in the United States account for 17 percent of the total population and constitute the nation’s largest racial or ethnic minority. To illustrate: Garcia, Rodriguez, Martinez and Hernandez are among the 15 most common surnames in this country. While there are still “traditional” concentrations of Puerto Ricans in the New York area, Cuban-Americans in South Florida and people of Mexican heritage in the Southwest and California, the geographical distribution of the Hispanic population has changed dramatically in recent years. Hispanics now represent at least 9 percent of the population in 24 states and the District of Columbia. As for the future, the Census Bureau projects that by 2060 Hispanics – or, as some prefer, Latinos – will number 119 million, or 28 percent of the national total. But whether the goal is getting votes, selling products, attracting audiences or tracking health trends, treating the Hispanic population as a single, homogenous community can be hazardous to success. In medicine, those challenges include overcoming some major gaps in research data. “An incomplete understanding of Hispanic populations in academic research has produced a lack of comprehensive data addressing Hispanic health,” Rodriguez said. A National Institutes of Health-funded initiative called the Hispanic Community Health Study/Study of Latinos (HCHS/SOL) is filling in some of those gaps. The largest study of Hispanic health ever conducted in the United States, it enrolled more than 16,000 adults living in San Diego, Chicago, Miami, and the Bronx, New York, who self-identified as being of Cuban, Dominican, Mexican, Puerto Rican, Central American or South American origin. It has found, for example, that the percentage of people with asthma ranged from 7.4 percent among those of Mexican ancestry to 35.8 percent among those of Puerto Rican descent and that the percentage of individuals with high blood pressure ranged from 20.3 among those with South American heritage to 32.2 percent among those with Cuban origins. Rodriguez, a cardiologist who also holds a master’s degree in public health, has analyzed data collected by HCHS/SOL to investigate heart disease and stroke among Hispanics, a high-risk population for these disorders. Among his findings in a 2015 study were that nearly half of Hispanic adults with high cholesterol were unaware of it and that less than one-third of those who were aware received treatment. A study published in April of this year indicated that Hispanics had higher rates of a potentially serious heart-pumping problem than other populations but that fewer than 5 percent of those with the condition knew they had it. Rodriguez also was the lead author of a 2014 science advisory from the American Heart Association that provided a comprehensive overview of cardiovascular disease and stroke among Hispanics and recommended specific, culturally appropriate strategies that health care providers, researchers and policymakers could use to improve heart health and treatment in the both the Hispanic population at large and in subgroups by country of origin.